A small quantity of copies that are slightly “dinged” (and may not be in shrinkwrap) but definitely cannot be sold as NEW. Act fast if you want a copy! HALO FOR HIRE contains all the Paul Pine stories. We have striven to pay homage to the design aesthetics of the first editions of the Paul Pine novels. 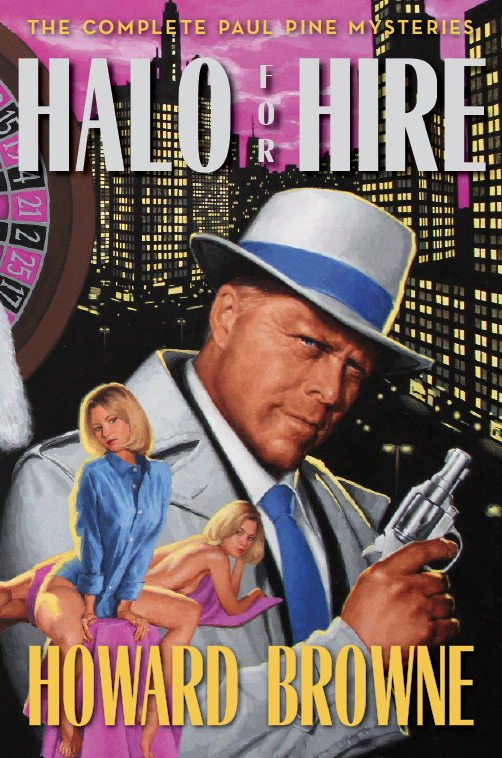 The foil-stamp for the front board of the 1946 hardcover of HALO IN BLOOD is echoed in the omnibus HALO FOR HIRE and the title page for each novel takes inspiration from the Bobbs-Merrill first editions.